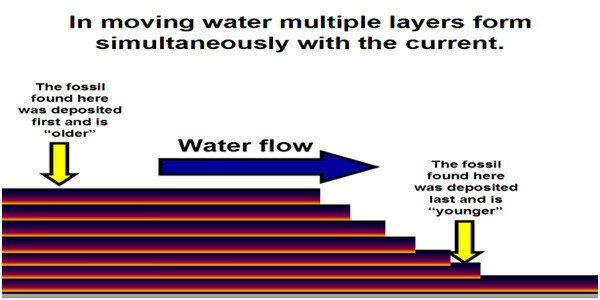 Hydrologic sorting is the process by which objects settle in a fluid. Usually the settlement and placement of the objects in the liquid is determined by their size and density. The Geologic Column (or layers of the earth’s strata) is interpreted differently by different groups of scientists. As we examine Geology and the different layers of the Earth, we can see that they reflect evidence for a worldwide catastrophic flood just as is recorded in the historic account of Noah’s Flood in the Bible. The evidence we observe in the Geologic Columns, combined with our understanding of how hydrologic sorting works, have inspired multiple experiments which conclude similar materials and sediments begin sorted in the same arrangement that we observed in the Earth’s Geologic Columns. These experiments produce similar fossils and material arrangements that we observed in the Earths Geologic Columns that are sorted by similar densities, weight values, and composition types. Animal fossils found within each of the geologic layers are often used by Evolutionists in attempt to prove their theory. Rather, the evidence of similar animals and plants found existing today all throughout the Geologic Columns proves that they existed before the world flood. These organic life forms became assorted throughout the geologic columns based on their densities, weight and body types. Experiments and observation provide better evidence and concludes that a catastrophic event radically changed and resorted all of the earth strata layers. There have been multiple different types of experiments done to see what would result with different types of sediments and animals if they were exposed to flood like condition. Experiments not only confirm the same sedimentary layers that we find today in the Earths strata layers, but they generically result in the same placement of fossils throughout those layers, just as we observe today. 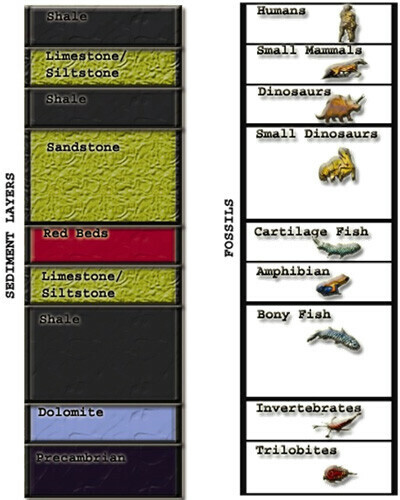 Evolutionists attempt to explain that types of fossils in various layers shows a progression of evolutionary development from simple to complex, when in fact the types of fossils in the various layers is better explained as the progression of marine sessile (not free-moving), to free swimming, to land dwelling. All geologists will admit that the ‘evolutionary fossil record’ start off with complex organisms, non are simple. In other words, as the world wide catastrophic global flood occurred, and rock and sediment layers continues to mix and remix with ocean waters, there was a procession of organisms that would be swallowed first. Marine animals and invertebrates would be the first to be effected and covered by underwater sediments, next fish and amphibians. Reptiles and other semi-aquatic animals would be swallowed by a rising torrent. Birds and mammals would be last to be covered by the rising sediments of the earth, not only due to a higher intellect but also their diversability. There are many different factors to consider took place while the world flood caused catastrophe throughout the entire planet (Gen 8.2). First of all the flood lasted an entire year, peaking the event 5 months after it began. Organisms would be able to tolerate the event depending on how long their own survival abilities would allow them (factors such as mobility, habitat and intelligence). 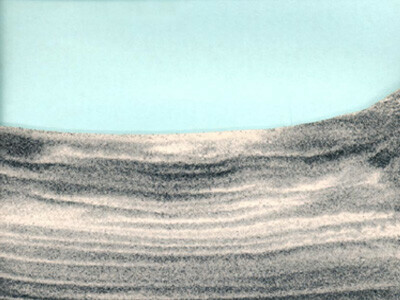 The First organisms to be buried where the bottom dwellers and under ocean marine organisms. Reptiles are extremely sensitive to temperature fluctuations, and amphibians die upon contact with salt water. Even though it is estimated that most of the first oceans where probably less salty then today, its sediment content may have been a factor on organisms during the flood. Cataclysmic torrent and temperature changes not to mention undersea plate shifts would have destroy an extreme population of the marine life first burring all lower dwelling organisms (coral, mollusks). Dinosaurs such as sauropods (like brachiosaurus) and theropod (like T-Rex) would have little ability to swim due to body size/types and would have been weighed down into the coming flood waters. Land dwelling mammal would have been the last to be buried as they would have probably treaded water for a longer period of time and their bodies are more buoyant then reptiles. Humans as the most intelligent creatures would mostly have attempted to last minute come up with some sort of floating system. They would have all died do to lack of structure and preparation (except Noah). Paleontology and Archaeology provides many different points of evidence for a worldwide global flood, that occurred not too long ago. First of all we have to understand the formation of fossils is very rare. It takes a very specific set of conditions to occur before an organic matter is able to fossilize. Fossils rarely form today, organic matter decays very quickly and bodies are scattered by predators in the matter of days. Yet we find millions of fossils, all in the same place in many different layers of sediment. Many with indications of instant deaths resulting from rapid formation of sediments around the organisms. We have fossils of fish in the act of giving birth. Entire skeletons of animals perfectly preserved. This is evidence that they where rapidly covered by sediments. Fossils are found in the highest location, in the highest elevations of the world. Fossilized giant oysters over 4 feet long have been found on top of Mt. Everest. What is interesting about these fossils is the fact they are fossilized in the closed position. When an oysters dies, their shell opens. Therefore when these oysters died, their shells must not have been able to open, once again probably due to rising sediments. Sedimentary layers rise very slowly today. This is the reason uniformitarian’s believe what they do. Due to the slow progression of the Earths sediments, the fossils we find could not possibly have been deposited over long periods of time, but rather very quickly. Fossils such as polystrate fossils. The evidence suggests that something must have happened on a global scale to change the face of the earth. The evidence we find in the Earths Geologic Columns best fits a scientific model for a worldwide Global flood! When we study each aspect of the Geologic Columns, we can see that each different point creates a clear picture for this catastrophic event. We find layers, such as the carboniferous, which is made almost completely of organic compost, coal, oil and other organic material; how can this be possible based on a uniformitarian theory? If each layer is supposed to represent hundreds of thousands of years, how could this layer be composed completely of organic material with no other sediments being inserted during its development? It seem much more highly probably that it developed as the density of plant life was settled together during a catastrophic event. Large amounts of Organic material should be found, practically mixed throughout every layer, not designated in such large quantities to a specific layer, and especially not for hundreds of thousands of years without other sediments being inserted into these organic layers! The earths sedimentary layers display a perfect symmetry, even for miles layers are found with a perfect seam transitioning one layer to another. Thousands of years between each layer should cause ridges and deep jagged marks along with indistinguishable mixing between the layers. Evidence shows a very clear transition between different kind of materials, further pointing to the fact the sediments where sorted by the material density, not by ages of time. Organic fossils are found, such as trees, traversing vertically through multiple sedimentary layers, these are known as polystrate fossils. These layers are supposed to date millions of years in difference from the top to the bottom, yet with these fossil found vertically shafted through entire layers, the evidence becomes clear that these layers where laid down very rapidly by a catastrophic event. Liquefaction is the process that solid sediments transform into a substance that acts like a liquid. 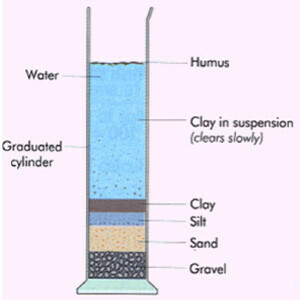 An example is of this is quicksand, beach sand and mudslides. After Noah’s flood the earth would have theoretically have continued to quake and shift. The strata layers continued to shift and move from the beginning of the flood until years long after. This would be yet another process that developed the shifting Geologic Columns and the fossils within them as we find today. Solidification is the process of making a surface or substance solid, compact or hard. The hydro-solidification is the process through hydrologic forces that strata layers become compacted. Animal body densities, movement and placement along with continual shifting in massive amount of sediments would have ordination effects on where the fossils would have been placed. There would also be many anomalies within the shifting sediments, and many different processes would be occurring at the same time. This is the reason why we find many out of place fossils in the Geologic Columns.